It's a new year full of stunning, new trends and colours to-die-for! 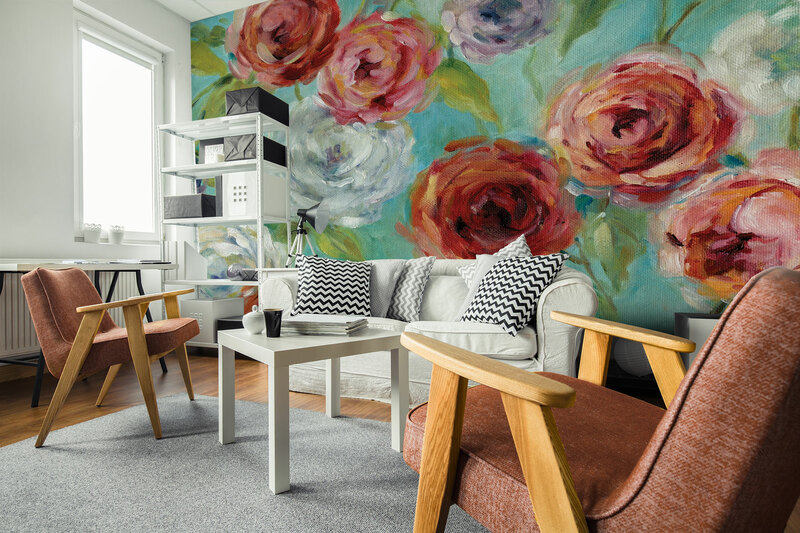 We take a look at some beautiful 2018 interior design trends that have already taken over our homes in this year. In 2018 our florals will take on a whole new lease of life. They'll be dark, dramatic and more beautiful than ever! There isn't a place they'll look out of place in! Prepare to include them on everything from upholstery, to walls and everything in between. 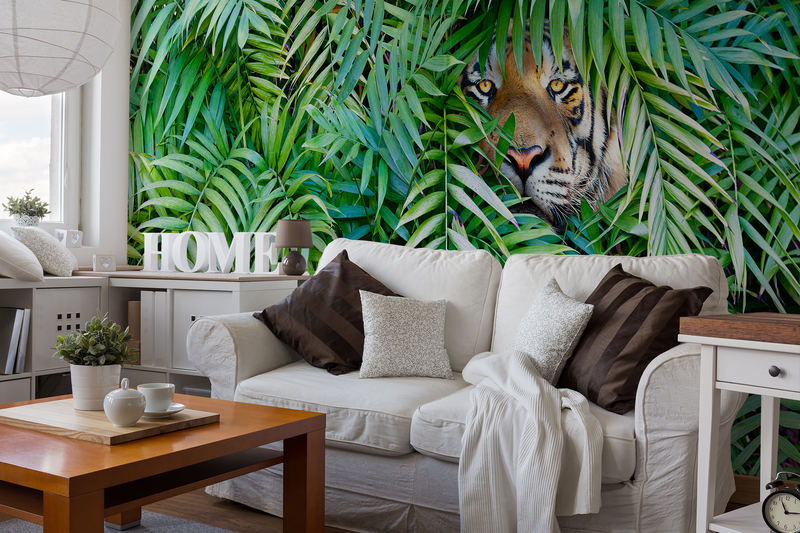 This year the jungle interior design trend will be bigger than ever! Include rich leaf prints, vibrant colours and animals. 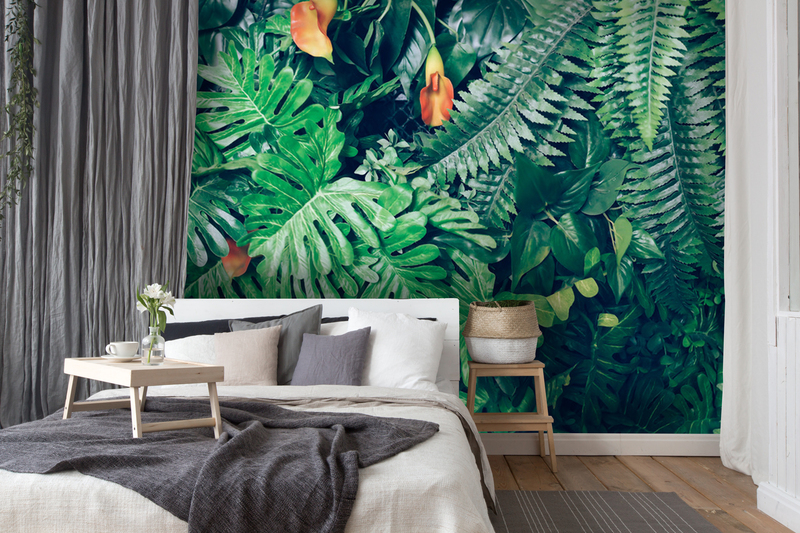 See the full collection of jungle wallpaper. Predicted by Pinterest way back at the beginning of 2017, this 2018 interior design trend is to-die-for! 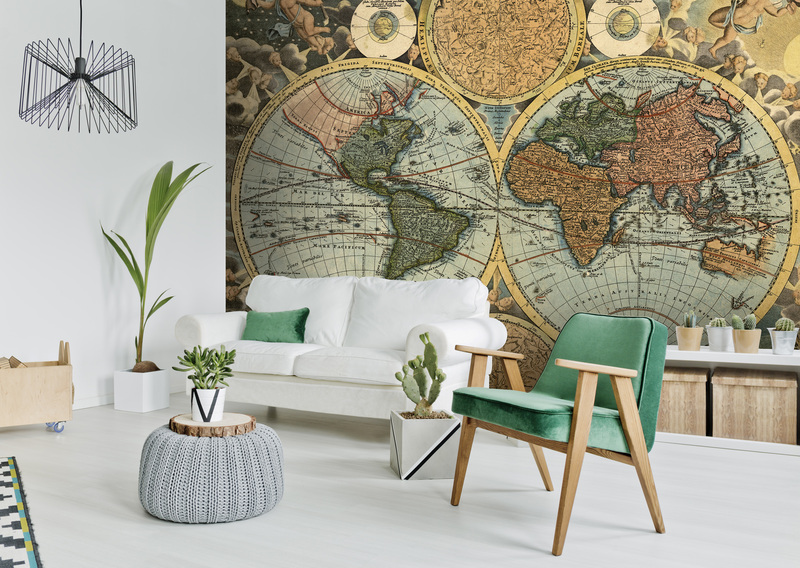 Decorate your ceiling with fine art, florals, maps or colours of the year. Looking for inspiration? Check out the looks below. 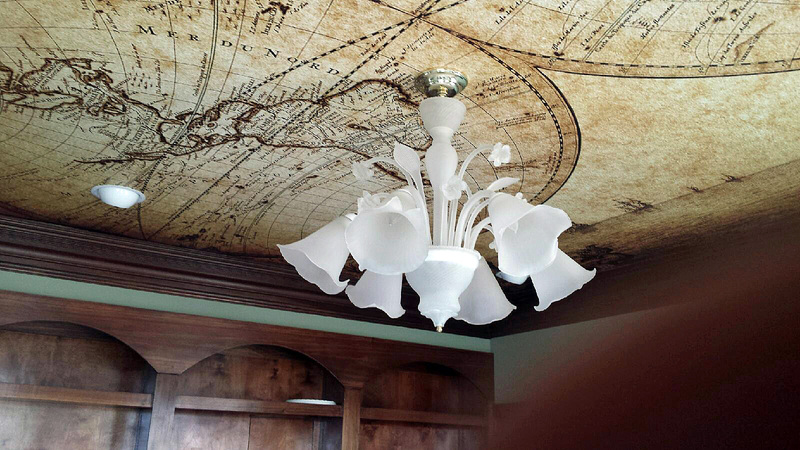 Looking for statement ceiling inspiration? 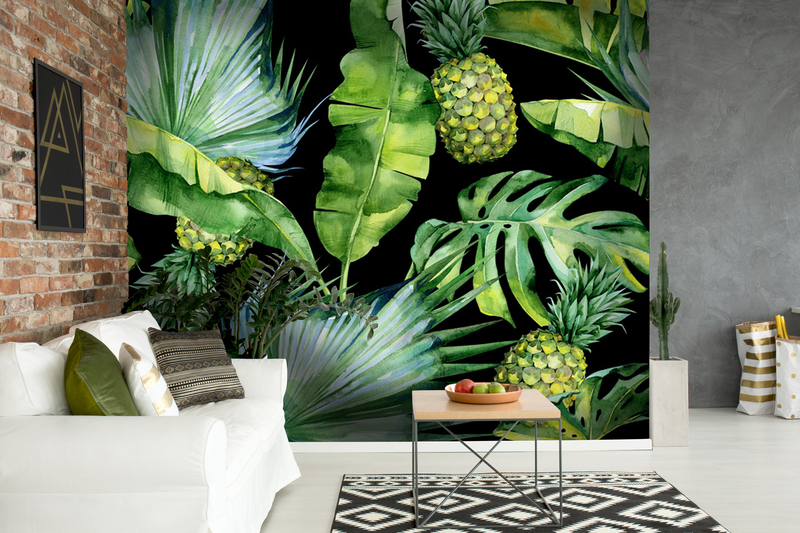 See our top picks for 2018 interior design trends. 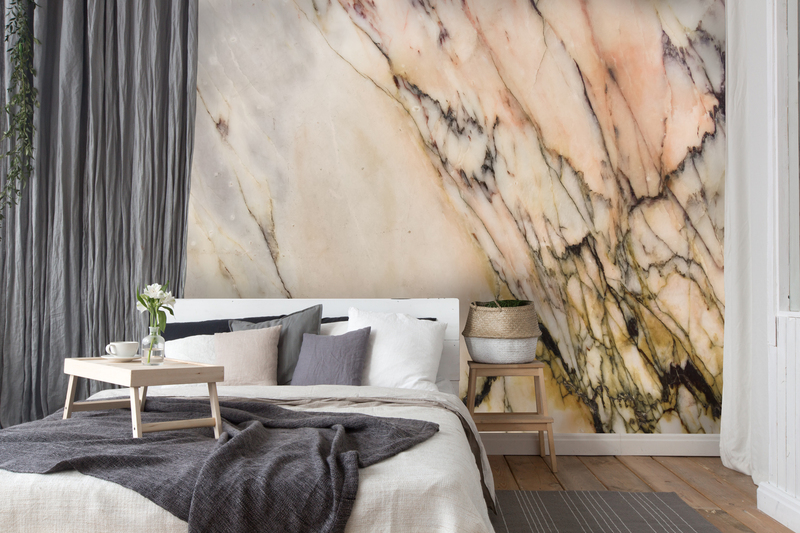 Marble trend lovers fear not! This year coloured marble, and coloured faux natural stones will be featured on our walls, dinnerware, and accessories. Still a major playerin interior design, we can expect the marble trend to be around for a long time yet. A very wearable trend, circle shapes and prints will be something to invest in. The timeless shape, used in soft and sublte colours won't only be an interior design trend throught 2018 but an interior design trend for a long time to come. For circle shapes, look at circle frames and mirrors. 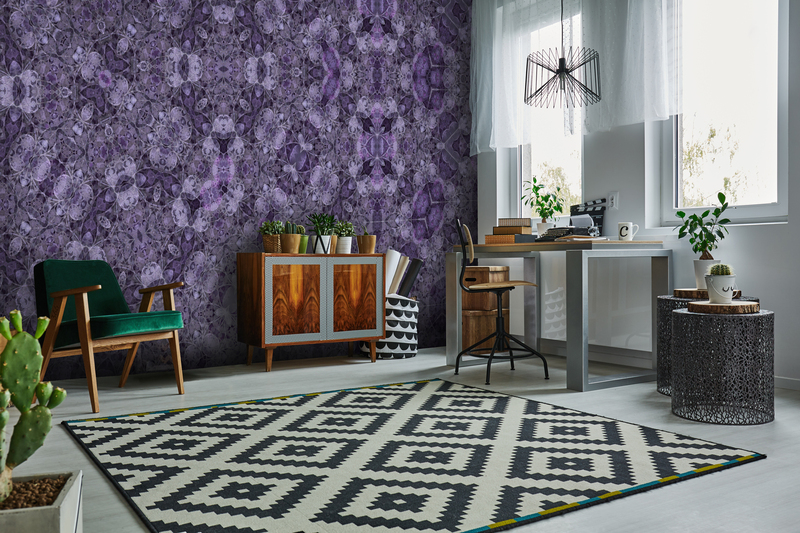 For prints and patterns, use on wallpaper and textiles. Chosen as the Pantone of the year, Ultra Violet is officially the new green! 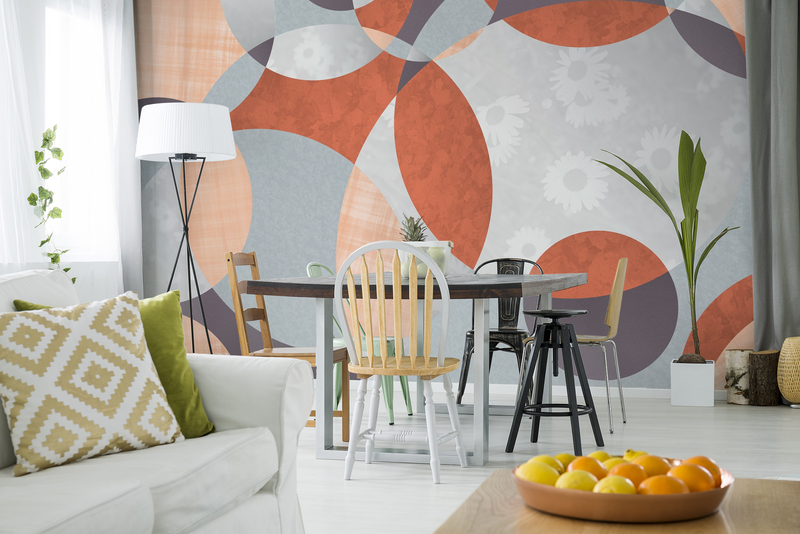 A beautiful, vibrant shade that will work with brass tones and a moody colour palette. This interior design trend can be used with many 2018 trends to create a room that is so on point! For those that love making a statement, big pieces of art will be replacing the gallery wall trend. Say bye-bye to adorable and oh-so-carefully placed frames and hello to big, beautiful prints. 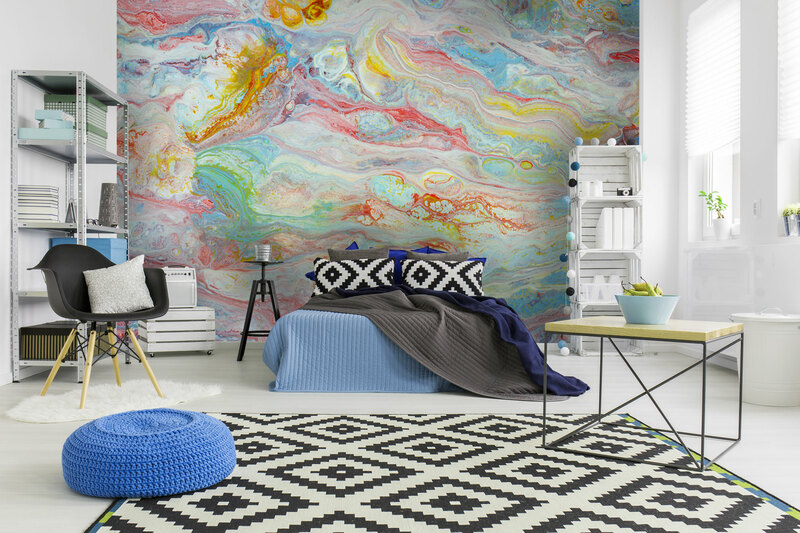 This 2018 interior design trend is one of our favourites! 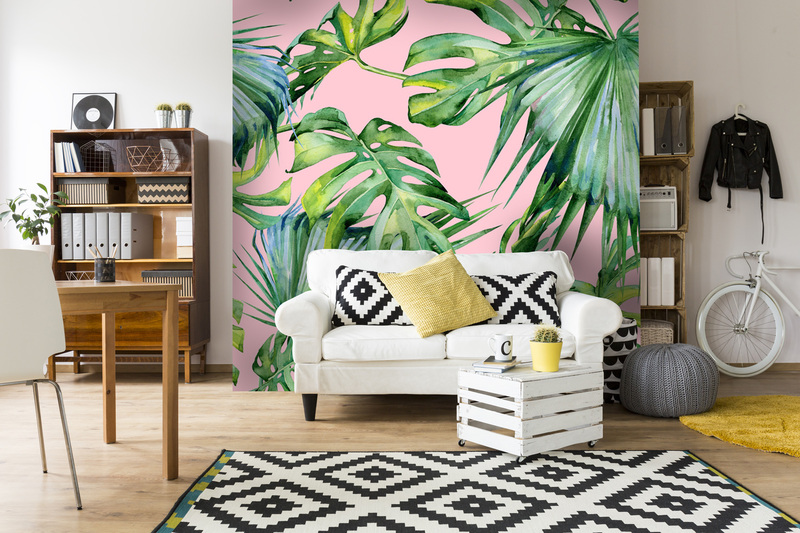 Have you already used one of these 2018 interior design trends? We'd love to hear about it in the comments section below. Even better, leave us your Instagram handle so we can check out your look!